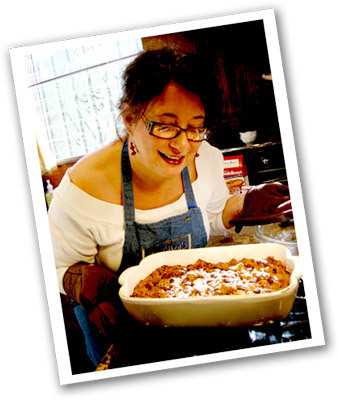 Gail's Kicking Mandelbroyt Pudding/ Sweet Dessert Kugel Recipe! "I am so excited to share with you one of my family's favorite desserts! It's super simple, utterly delicious, and it can be modified to fit your palate and dietary restrictions. 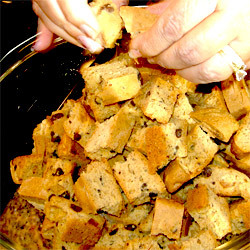 I know you will enjoy this yummy bread pudding!" 1. Break Mandelbroyt into thirds or fourths, place pieces into a lightly greased 8-inch square baking pan. 2. In a medium-mixing bowl, combine eggs, almond milk, brown sugar and vanilla. Beat until well mixed. 3. 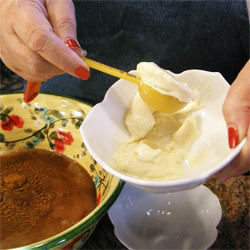 Add softened butter to mixture. 4. 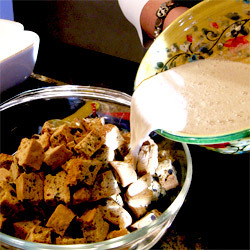 Pour over bread, and lightly push down with a fork until bread is covered and soaking up the egg mixture. 5. Pour into a baking pan that is coated with your choice of baking spray. 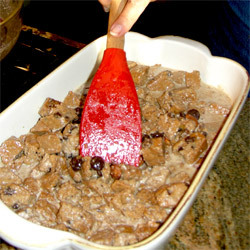 Cover, and refrigerate for a minimum of two hours or overnight. 6. Preheat oven to 350 degrees F (175 degrees C). Bake uncovered for 45 minutes, or until the top starts to brown and bubble. 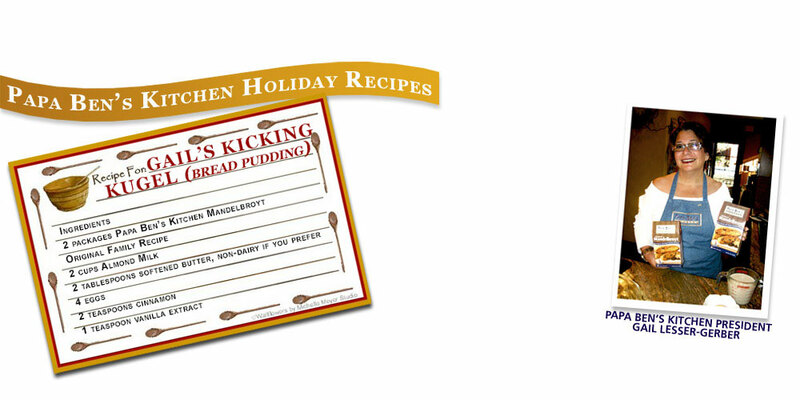 • For an adult indulgence pour ¼ cup of your favorite Spiced Rum or Kahlua over mixture before baking. 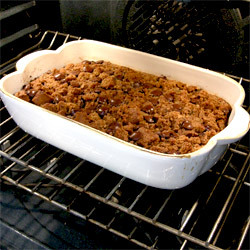 • Feel free to add chocolate chips, raisins, teaspoon of cinnamon and/or almonds to the mixture. 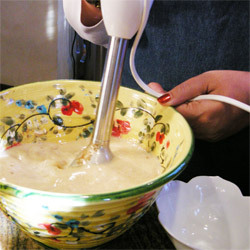 • Serve alone or with ice cream, whip cream as desired.